The Experienced Travelers are fond of old things, especially when the old thing is a vintage Hermes scarf on sale. 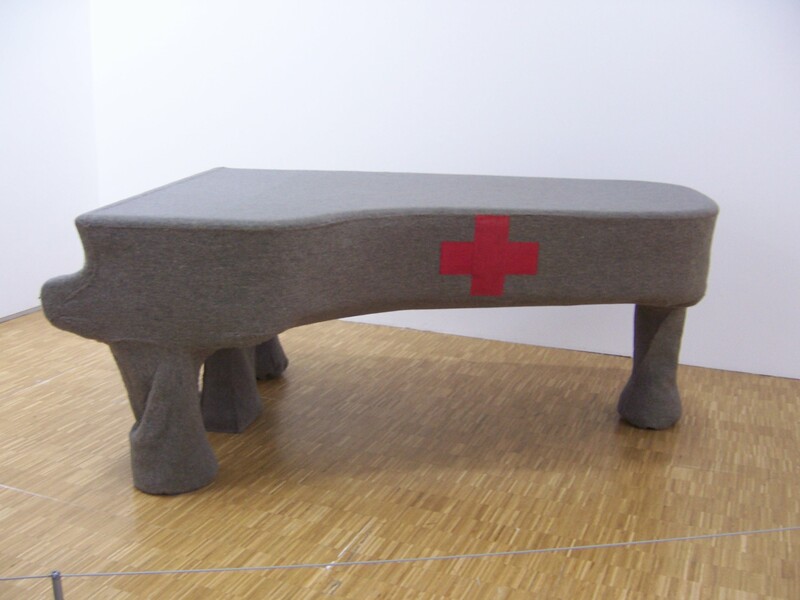 But sometimes they indulge Nurse’s post-modernist streak and pay a visit the Musée National d’Art Moderne at the Centre Georges Pompidou. Nurse was a real sport about my Proustian excursions, so despite my developing headcold I put on a pop art attitude and went along. 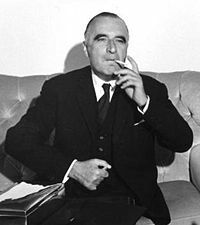 Georges Pompidou - He could be a "Mad Men" extra! Unlike the ETs, Prime Minister Georges Pompidou was not fond of old things. A man of the 1960s, he envisioned a New Paris that would personify the modern age. Not since Haussman has a man done more to change the face of the city. His legacy includes the smelly, death-defying traffic lanes on the banks of the Seine, the heartbreaking destruction of Les Halles (the central market of Paris) – especially the Baltard iron structures, and the awkward Tour Montparnasse office skyscraper. Even Nurse, in her most modern frame of mind, agrees. Centre Pompidou exterior. It's not unfinished. It's just inside-out. 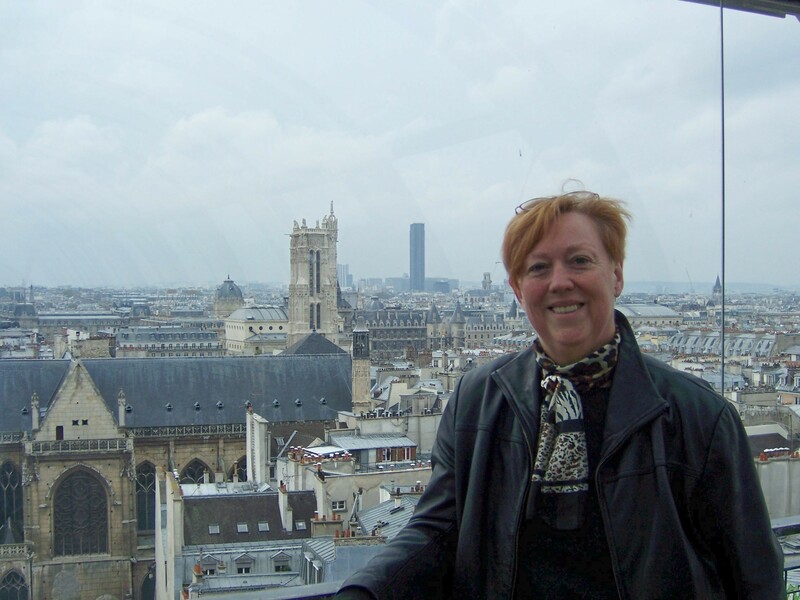 So it’s fitting that the Centre Pompidou is one of the most controversial buildings in Paris. 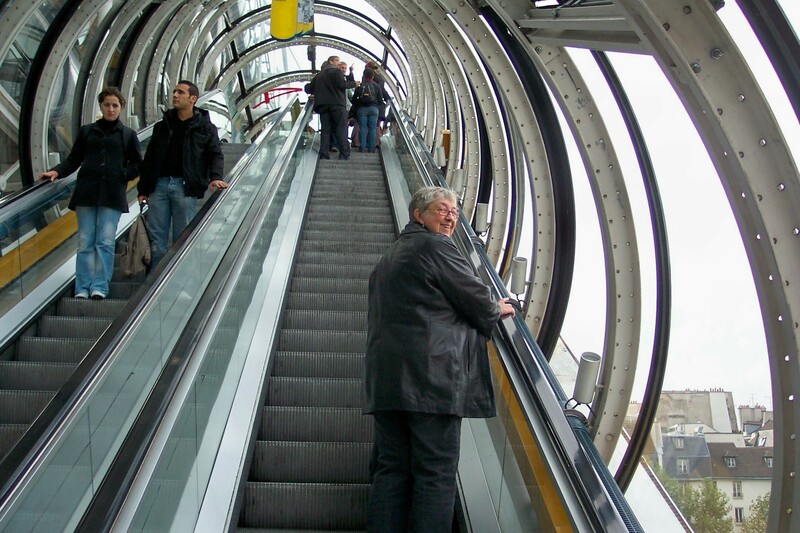 The escalators, air ducts and climate control systems are on the outside of the structure. 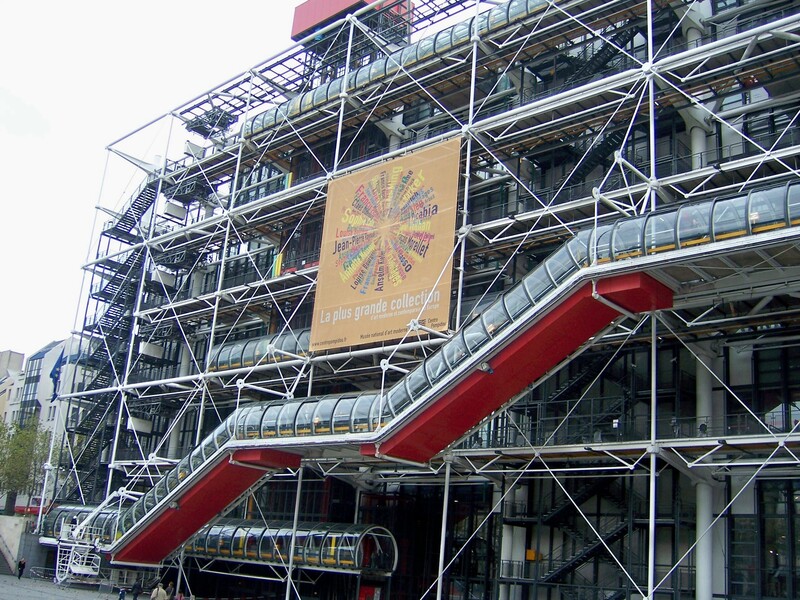 By the time it was finished in 1977, the Centre Pompidou was lambasted in the press, mocked and despised. In fairness, it does have admirers. And in the end, most Parisians have come to terms with it’s eccentricities. But we’re here for the art! Nurse was in her element, rhapsodizing about the installations. I wished for just one Rembrandt. I earnestly want to understand “la moderne”, but time and again I fail. The ETs did get some keen ideas for making Art of our own. This is automatic Found Money when you add up what would be spent at Overstock.com on wall decor! 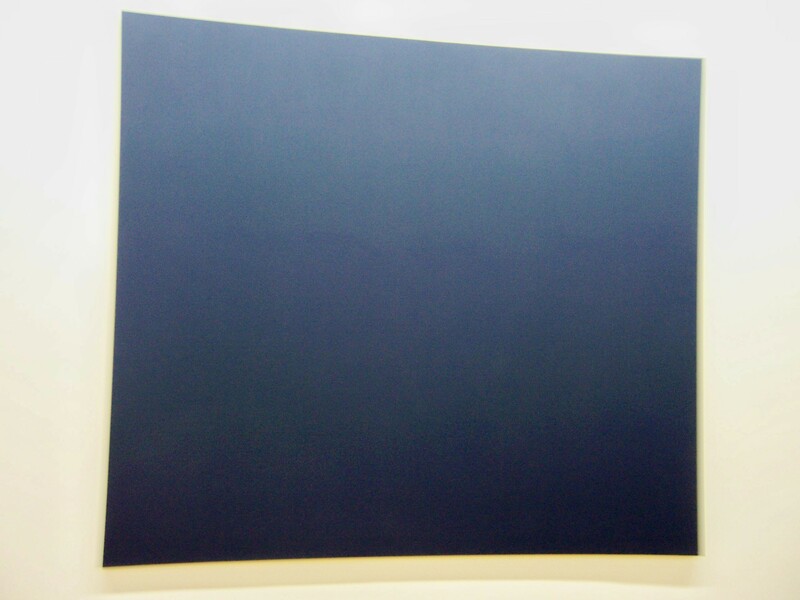 Take “Blue Canvas”. *I* can do that! And it’s equivalent in size to a $79 Overstock special. Found! While Nurse was transported by the creative use of media and shiny things, I kept thinking of useful stuff around the house that could be art-ified. *We* have a piano. *We* have throw rugs. Why not? Nurse wandered off to deeper inspiration while I sought refuge on a comfy bench to deal with my escalating headcold. This was a fortuitous move. 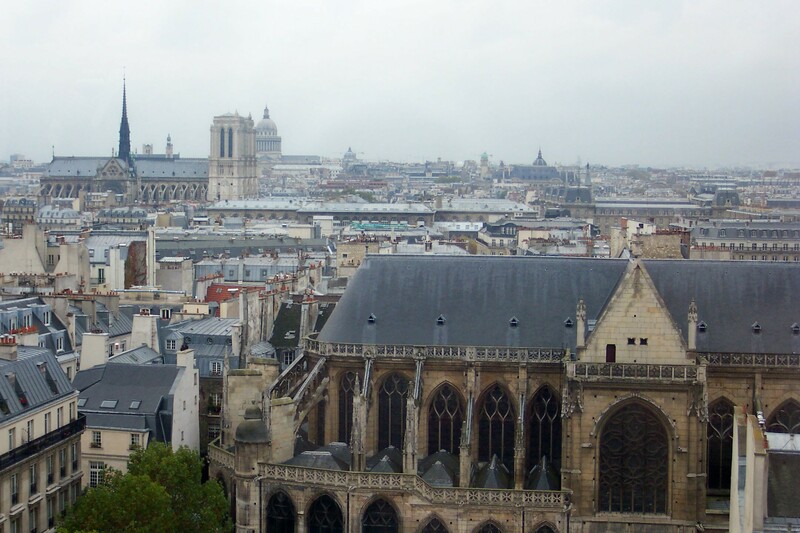 From where I sat in Pompidou’s monument to the new modern city, you get the most exquisite view of the buildings and mood that he wanted to eradicate. Sorry Georges. Take That, Georges. 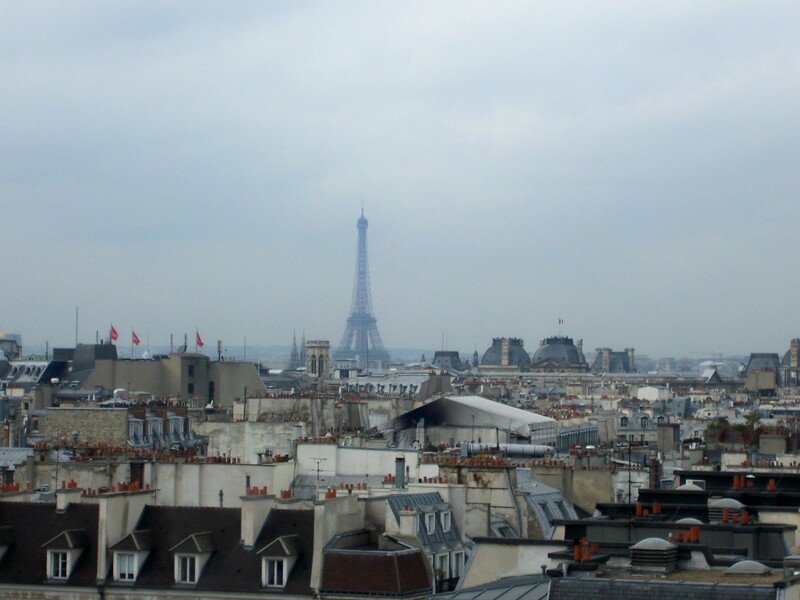 Even on a grey day, the view over Paris makes me sigh. By now, I am delerious from the headcold. But the mounting congestion helps me see things in the art that I was missing before! Eureka! 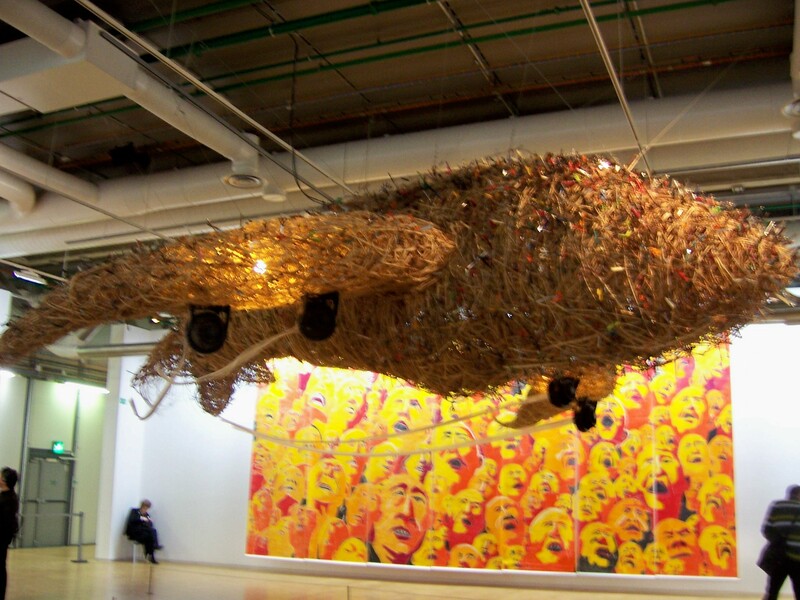 The ETs have found an “art appreciation” research study that will keep them in Paris for years! 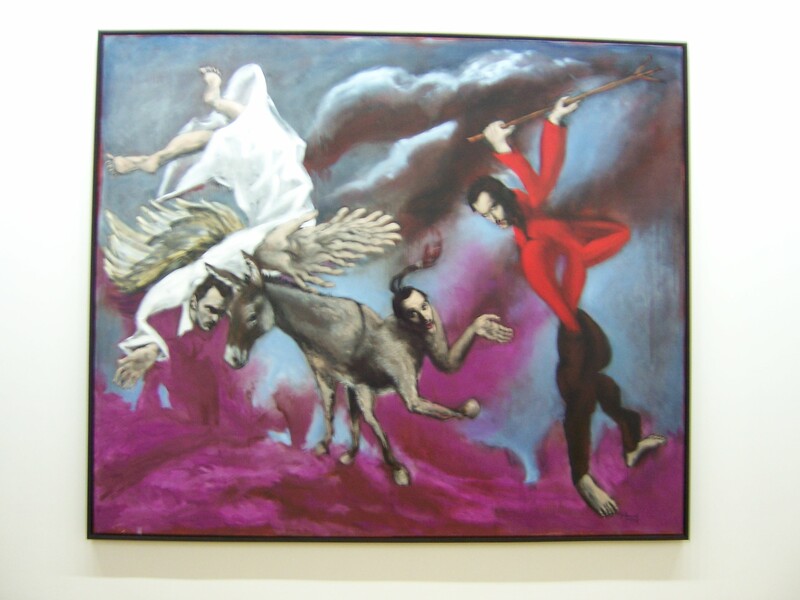 My opinions of Georges and Jackson Pollock are rising every minute. The ETs both approve of the Stravinsky Fountain. 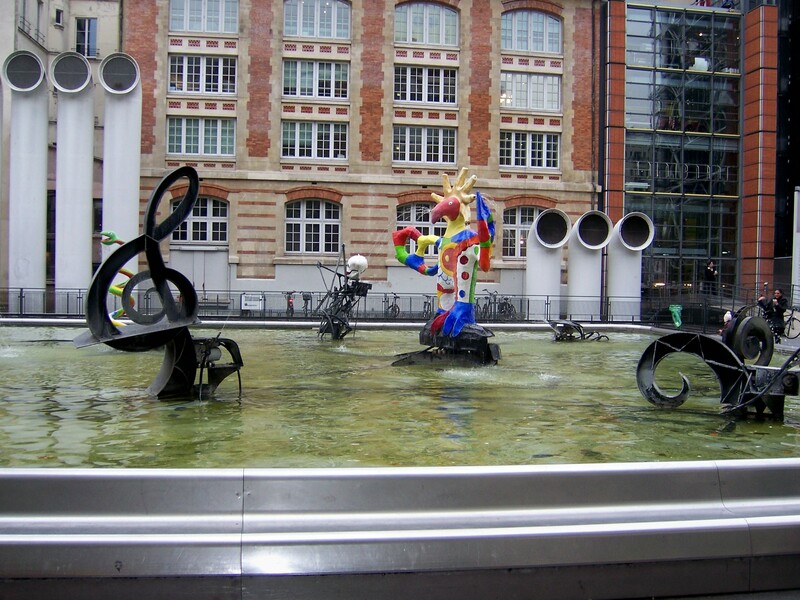 Created in 1983, the sixteen sculptures were inspired by composer Igor Stravinsky’s “Rite of Spring”. They move, twirl and spray, which entertains small children and the ETs. Our foray into modern art had inspirational moments. The ETs duly pondered them over a glass of wine. Did Georges, perhaps, have a point? 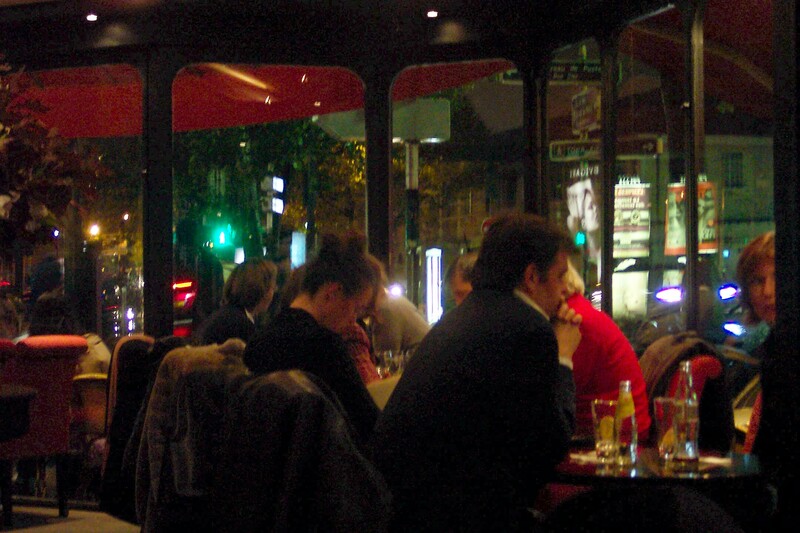 At a cafe in the heart of Paris, even ETs can be great art theorists.